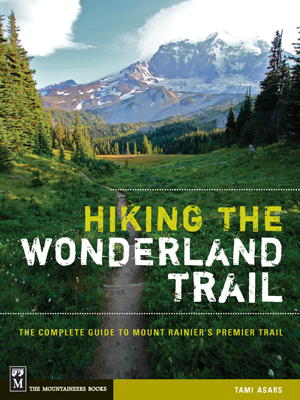 Those familiar with backpacking gear will probably snooze through this or read it with only one eyeball while people-watching at the coffee shop with the other. I figure it doesn’t hurt to be thorough and if you decide read it, heck, you just might learn something new or at least entertained for a few minutes. There are primarily three types of tents available, not including hammocks, tarps and bivy sacks which we’ll cover in the next section. Those three types are: Family camping tents, mountaineering tents and backpacking tents. Family camping tents are large, usually heavy and some even have separate rooms. They are meant to be transported with the luxury of a vehicle as opposed to your spine. Mountaineering tents are highly windproof, made with extremely tough materials and are designed to be used on high mountains, snowy weather or exposed areas. They are heavier than backpacking tents, but not as heavy as family camping tents. When buying a tent, decide on the number of people you need it to sleep and narrow your search from there. Having multiple tents as opposed to one big one generally will save weight if you have a group of 4 or more. From there, start looking at weight, size and price. Tent weight should stand out as one of the most important features in your decision. Having two doors, gear lofts and lots of pockets are nice features, but can drive up weight faster than pound cake on a flabby belly, so consider what you need vs. what you’d like. Tents weights usually are classified by the manufacturer by the minimum weight or the packed weight. The minimum weight does not include a tent stakes, guylines or carrying bag, only the tent, poles and rainfly. The packed weight is usually the whole enchilada. Tents with lots of mesh fabric are the lightest as mesh weighs less than nylon fabrics. 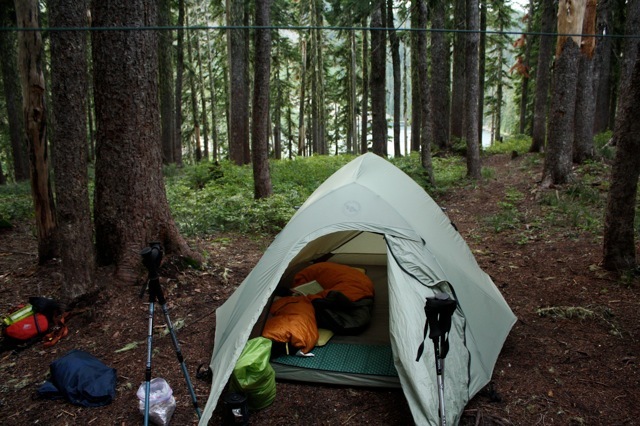 If you have a good rainfly that covers the tent and can be pulled taut, you’ll stay warm and dry, despite the mesh. Backpacking tents can weigh anywhere from 3-6 pounds, give or take. With new technologies, many of the 3 pounds tents are just as tough and durable than yesterday’s 6 pound tents. The interior size of the tent is particularly important if anyone in your group is tall as most backpacking tents are designed for those 6’ and under. All backpacking tents are small and can feel claustrophobic to those who are accustomed to family camping tents, so keep your size expectations realistic. Compromise with yourself on size to weight ratio and realize that you’ll only be sleeping in it- not entertaining guests or hosting birthday parties. To save weight, some tents are designed for backpackers to alternate sleeping positions with one backpacker sleeping with their head to the door, the other sleeping with their feet to the door and so on. This will save weight, but a word of caution. If those stinky-feet-dogs are barking, and the sleeping bag is stick thin this could be a very unpleasant olfactory experience. Should you choose a tent with this sleeping position you should interview your tent-mate to ensure they aren’t prone to RLS (restless leg syndrome) or bouts of sudden, involuntary sleep kicks. Price should play a roll in your decision, but keep in mind a good vacation is going to cost a little money. Don’t skimp on your gear as it’s key to your comfort and possibly your survival. Expect to pay $200.00 – $300.00 on a good tent that will last you through many wonderful memories. As with other gear, shop the clearance sales, end of year blow outs and used gear options. Check for adequate features, such as headroom to ensure you can sit up to dress and organize without too much discomfort. Look at the tent’s ventilation ensure the manufacturer has addressed cross breeze and good venting properties. Keep in mind the even tents with amazing ventilation can still accumulate condensation in dewy or humid climates. Look at the floor and ensure the tent’s seams are not flush with the ground. A good tent manufacturer will place the floor seam slightly higher than the floor to decrease the possibility of water creeping inside. Check to see that the tents seams are taped or sealed. Ensure the rainfly is waterproof and fits tightly like a drum over the tent. The storage under the area of the rainfly is called the tent’s vestibule. Make sure it is large enough to accommodate shoes, packs (if necessary) and any other items you may wish to have at arms reach. Some tents are non-freestanding, meaning that in order to stand up and hold a shape, they require staking. 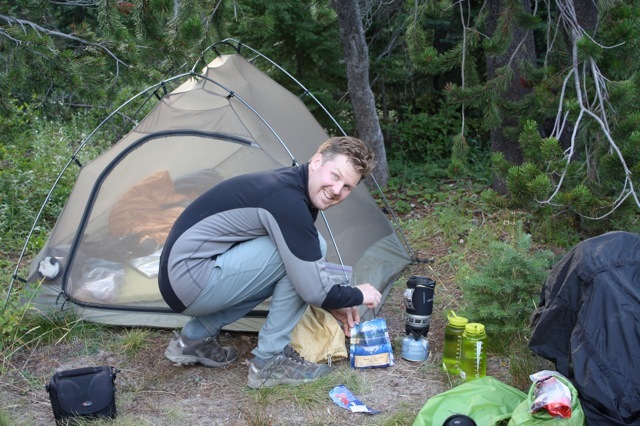 You shouldn’t have many issues with this type of tent on the Wonderland Trail, but in other areas where there are desert sands, gravel or hard-packed soil, you may have challenges getting your stakes to hold. While their weight is tempting, consider your uses before you purchase these tents. Most manufacturer’s have an optional ground cloth, called a ‘footprint’ available for the tent. The ground cloth matches the tents floor exactly and adds an extra layer of protection for preventing things like pine cones, roots, or rocks from accidentally puncturing the floor. If you decide to purchase one, do so when you buy your tent. Since tent makers change designs almost as much as they change their socks, you might be up a creek if you decide to purchase one down the road. Additionally, some tents come with either flimsy or heavy tent stakes. If so, you can save yourself some weight and aggravation if you purchase some strong, lightweight after-market stakes. Your tent may or may not come with parachute cord or string also called “guyline”. It’s used for staking out your rainfly and occasionally bracing your tent in high wind. If your tent does not come with guyline, be sure to pick some up before you head out. It’s also not a bad idea to tie it to the loops on your rainfly, so you are ready to roll quickly when a storm moves in. As with any gear item, know how to use it before you leave. Practice setting up your tent before you head out the door, so that you aren’t reading directions or wandering around looking for help from a fellow Wonderlander, in the dark. When packing your tent, split your tent supplies between the backpackers using them. For example if there are two of you, one of you can carry the tent and footprint, the other can carry the poles, stakes and rainfly. This helps lighten the load and also gives each of you something with which make a shelter in an emergency if you get separated. Now for the ‘duh’ part. Never put your tent away wet. It’s so easy to come home with a load of gear and forget! Treat your gear well and it will reciprocate. Set up your tent when you return home and take a damp sponge with a mild soap to the floor and ceiling. Clean up the remnants of those unfortunate bugs who were dumb enough to think they’d get a free bite and scrub any tree sap or pollen from the rain fly. Once it is all dry, pack it up and store it for the next big adventure.